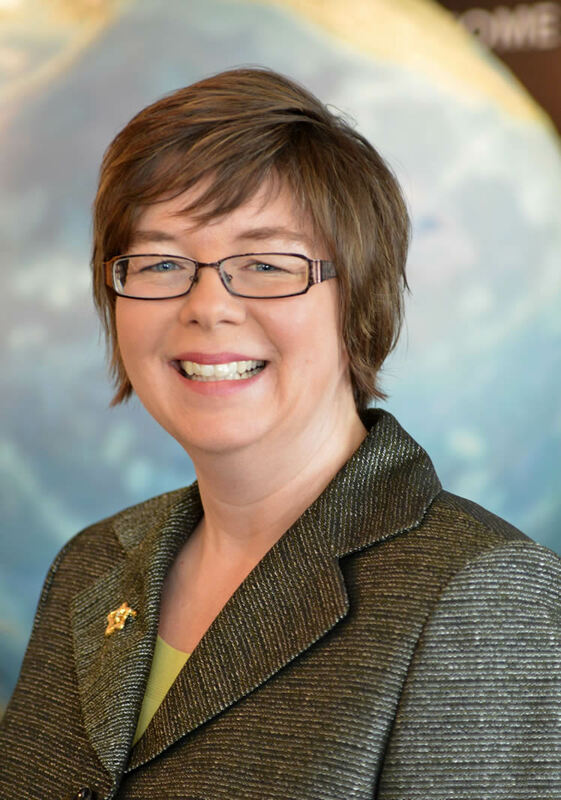 Michelle B. Larson, PhD, is the President and Chief Executive Officer of the Adler Planetarium, a position she has held since January 1, 2013. As president of America’s first planetarium, Larson oversees a 21st century space science center that includes the institution’s landmark museum complex, exhibition galleries, and three theaters; a robust research enterprise; one of the world’s leading collections documenting the history of science; and an award-winning education and outreach program. Annually, more than 470,000 people visit the Adler, making it one of Chicago’s leading tourist attractions. Dr. Larson grew up in Anchorage, Alaska and earned her undergraduate and graduate degrees in Physics from Montana State University. She is an astrophysicist who did her doctoral work in neutron star astrophysics. It was during this time that she discovered astronomy as a vehicle to engage people in science. Dr. Larson’s professional passion is enabling engagement and communication between scientists and the public. Before joining the Adler, Larson served as Vice Provost at Utah State University. She has worked as a science education specialist and administrator at the University of California-Berkeley, the California Institute of Technology (Caltech), the Montana Space Grant Consortium, and the Pennsylvania State University. At each of these institutions, she served as a bridge between active scientists and broader audiences. Dr. Larson serves on the Advisory Boards for the ARCS (Achievement Rewards for College Scientists) Foundation Illinois Chapter and After School Matters (Chicago), and the Montana Space Grant Consortium. She is a Leadership Council member of the Chicago Council for Science & Technology and a member of the American Physical Society. She is married to Shane Larson, PhD, also an astrophysicist; and they have one daughter.